Michael Wood is Professor Emeritus of English and Comparative Literature at Princeton University. He is the author of books on Stendhal, Nabokov, Kafka and García Márquez, as well as studies of American movies and Buñuel’s Belle de jour. His most recent works are Yeats and Violence (2010), Film: A Very Short History (2012), Alfred Hitchcock: the Man Who Knew Too Much (2015), and On Empson (2017). He writes regularly for the London Review of Books and the New York Review of Books, among other journals. The thoughts traced in this book may seem a little complicated but the project itself is simple. It is to see what sort of weight and extension Walter Benjamin’s phrase ‘reception in distraction’ can be seen to bear in changing contexts. The book first looks at the theoretical contours of the phrase, and several of its relatives, in the work of Benjamin and Barthes, with a glance at a prehistory in Proust and others. It then closely considers some different objects of reception and different forms of distraction: in jazz, classical music, poetry, painting, art house film and popular film. Particular instances are: an album by Miles Davis and his group, a song by Richard Strauss, a poem by W. B. Yeats, a painting by Max Ernst, a film by Luís Buñuel, a film by Clint Eastwood. 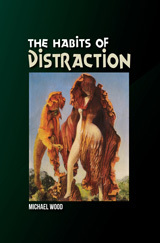 The hope is that distraction in interpretation – listening, reading, viewing, watching – will come to seem less vague and regrettable, and may serve as a corrective to narrow, expert and over-explicit modes of response. But this hope itself depends on readers who will take what is shown here as an invitation to choose their own examples and explore some of these possibilities for themselves. This study interrogates the ideas of Walter Benjamin and his concept of “reception in distraction,” while also integrating the ideas of Roland Barthes and Marcel Proust. The book analyzes reception and distraction in jazz and classical music, poetry, art, and film, looking at works by Miles Davis, Richard Strauss, W. B. Yeats, Max Ernst, and Clint Eastwood.